DimLux humidity sensor (RH) with 5m cable. The DimLux humidity (RH) sensor displays the humidity on the DimLux Maxi Controller. If the RH sensor is connected, a humidifier can also be switched on with the DimLux Maxi Controller. 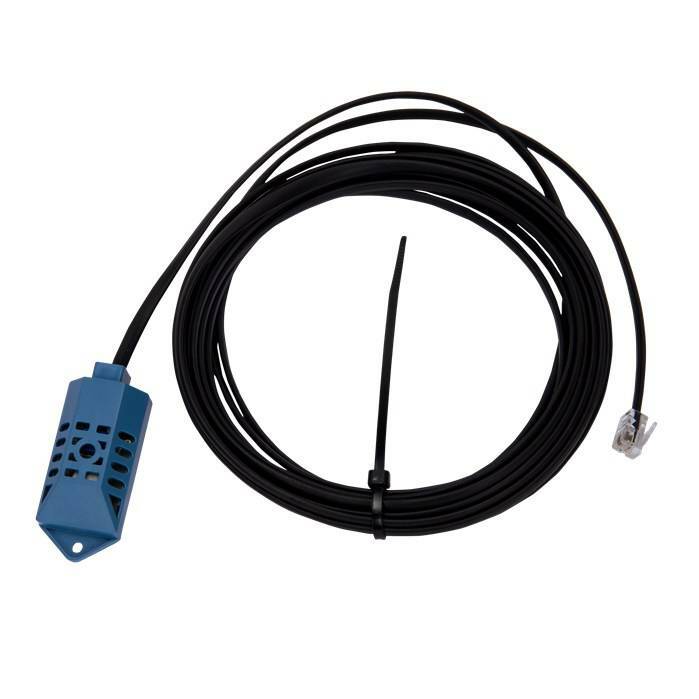 DimLux humidity sensor (RH) with 5m cable. The DimLux humidity (RH) sensor displays the humidity on the DimLux Maxi Controller. If the RH sensor is connected, a humidifier can also be switched on with the DimLux Maxi Controller. An additional plant temperature sensor is required in order to calculated the Vapour Pressure Deficit (VPD). Comes with 5m cable.